Cultivating Leadership – We will be fostering future generations of Canadian Baptists by hiring a Director of Next Generation Ministries who will work with our partners in developing a possible gap year program, continue to invest in our youth leaders and youth through SERVE and work alongside our camp directors in supporting their leadership training programs. Investing in Relationship – We will be providing resources for our churches and clergy to maximize their health and effective ministry. In this we will focus on enhancing relationships with pastors, churches and ministry partners. Engaging in Mission – We will be growing our CBWC family through fresh expressions and intentional implementation of the gospel. We will continue to sponsor refugees, serve alongside our Indigenous brothers and sisters, and continue to seek to plant new ministries and churches. We are not a large denomination and we can’t do everything, but we pray that these new emphases we help us prioritize the ministries that God is calling all of us to, together, in this next season of ministry. Please pray with us that we might hear His voice and be faithful to His calling. All churches are invited to participate in the National Day of Prayer for Youth on Sunday June 10, 2018. 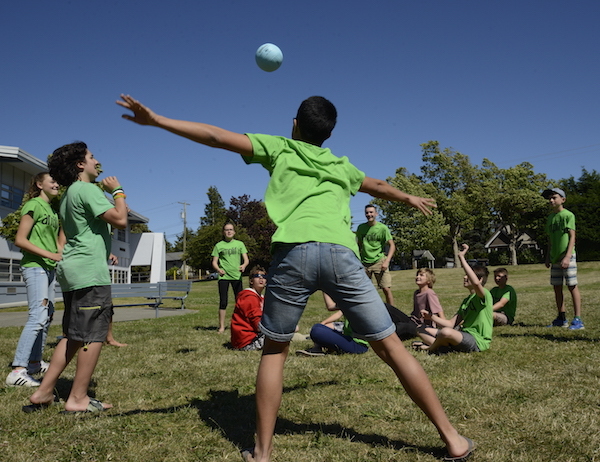 It’s an annual initiative from the Canadian Baptist Youth and Family Team (a cooperative of youth and family leaders in the Canadian Baptist denominations). 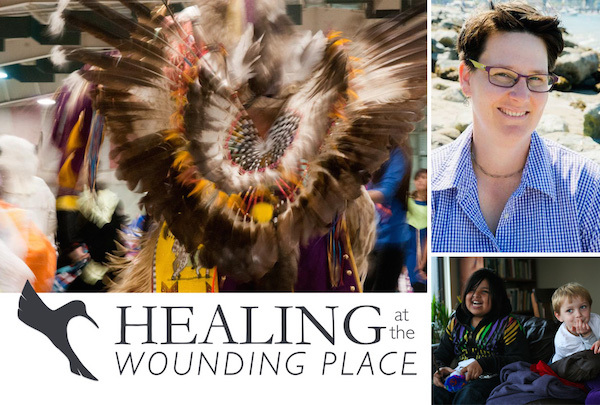 “Our hope is to encourage prayer for the youth in our country, as well as educating people about what’s going on in the lives of youth today,” says Tammy Klassen, the CBWC representative on the Youth and Family Team. The Youth and Family Team, who also produced the Imaginative Hope report about the state of youth and children in Canada which Making Connections wrote about here. “Regardless of whether a church has youth, we really want all CBWC congregations to join us in prayer on Sunday, June 10,” Tammy says. CBWC Opportunity Grants were founded in 1998 with a generous gift from the Charles Bentall Foundation. Since then, dozens of ministry start-ups in CBWC churches have been funded, expending the arms of Christ in our communities. This April, the Opportunity Grant Committee recommended to the Board that the program be dissolved for the foreseeable future, as the funds were depleted. With a heavy heart, the CBWC Board agreed. In light of this decision, a celebration of the past is called for. Here are a few highlighted ministries that Opportunity Grants propelled forward. 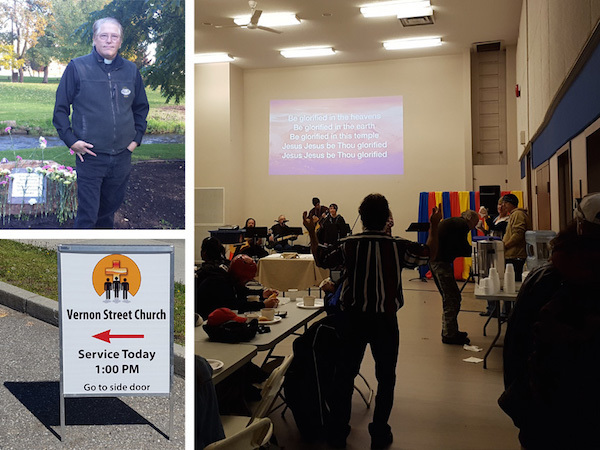 Over the past 10 years ‘The Wagon’ (which was purchased and outfitted in part, through a CBWC Opportunities Grant) has enabled the Summerland Baptist Church ‘Music & Creative Arts Outreach Ministry’ to travel throughout Western Canada sharing music and a gospel message. We have used this resource in 8 prisons, 6 North Coast First Nations communities, dozens of churches, parks, concert halls, parades, Senior facilities and Block Party Venues. Some of the equipment even accompanied our Back Porch Gospel Bluegrass Band on 2 tours of Japan. 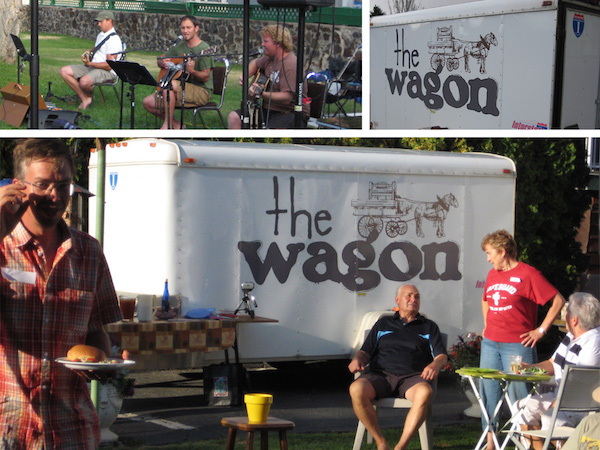 ‘The Wagon’ has and continues to enable our ministry teams to go where ever opportunities arise. Eastside Story Guild (ESG) is a ministry of Grandview Calvary Baptist Church in Vancouver. It’s are a community of children, youth and adults engaged in the craft of biblical storytelling. They embody stories in theatre, music and dance, exploring the intersection of our story with God’s story. Through fostering wonder and building creative skills, they deepen our faith and cultivate our imaginations. 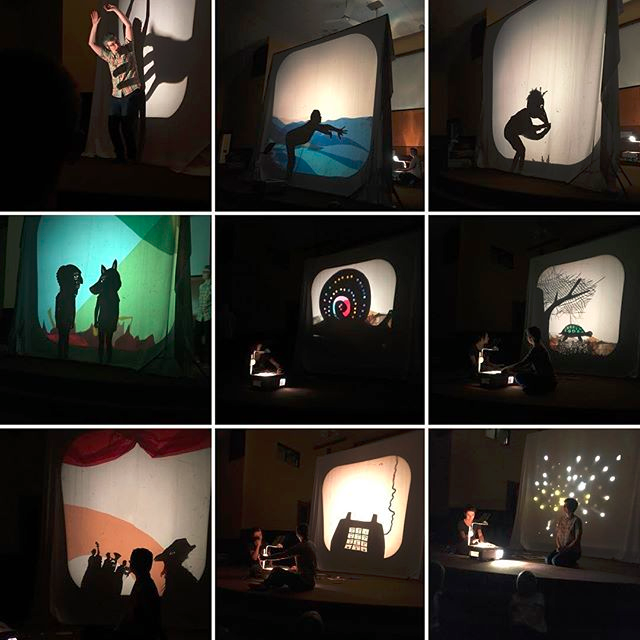 ESG’s presentation of The Fallen Tent incorporates shadow theatre into the story of Paul and Silas in Philippi. The gracious gift of the Opportunity Fund Grant. Enabled our chaplaincy ministry to grow into a full time operation. It gave me enough funds to work more hours and be more involved in the lives of our marginalized and homeless in our city. It helped purchase a sign, buy food for our once a month services. Our two big roles in the city is the Homeless Memorial which we hold an annual service each October. To remember the large number of homeless related deaths we have each year. The Second of course is Street Church, we have entered our second year of operation and gone from 3 volunteers to about 15. 1 church involved to 7 represented. We are able to provide spiritual and physical food of over 70 people on a regular basis. Thank you very much for enabling us to move forward. Let me add how sorry I was to find out I could not reapply due to lack of funds. This grant was life changing in so many ways. 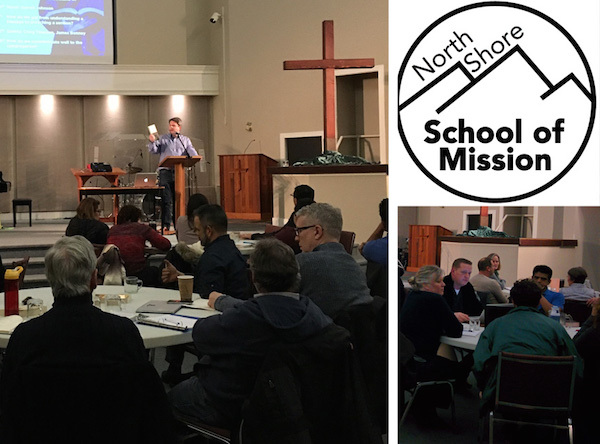 North Shore School of Mission had around 90 students attend one of the three Monday evening courses: Reading the Bible in the Church and the World; Introduction to Preaching and Teaching; and Issues in Global Mission. Students came from nine North Shore churches. Seven CBWC pastors taught classes, and four pastors from other North Shore churches and para-church leaders have been involved in teaching. Three students are enrolled full time for credit and are serving as ministry apprentices at Hillside Church. 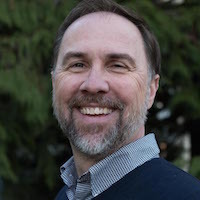 Other courses they have taken include Discipleship Then and Now, Missional Church, and Missional Leadership, as well as reflective ministry practicum courses. These three will be going on a short-term missions trip to South Africa in the Fall, during which they will conduct research work. The school’s library has been made available for use by church leaders, just had our first pastor spend a week studying with us this month. Brownfield Baptist Church was featured in Alberta Farmer Express for their work with the Canadian Foodgrains Bank. 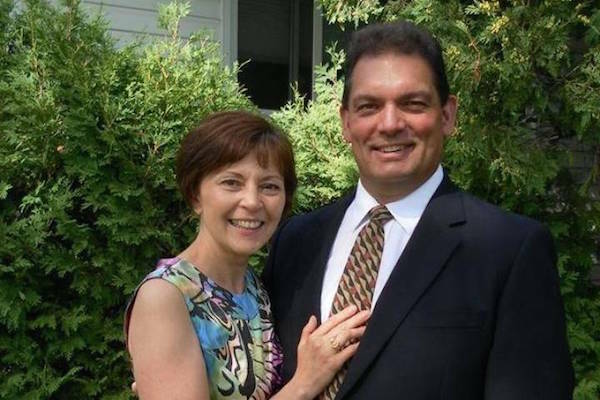 Iain Armstrong, a long time member of Laurier Heights Baptist Church in Edmonton passed away tragically after trying to stop a robbery. His son, Sean Armstrong wrote a tribute to his father, which he hopes will make people remember his father’s extraordinary life, not just the sudden end. The Brownfield and District Growing Project continues to thrive because it has been embraced by the whole community, young and old alike. This picture is from a video shot during last fall’s harvest. 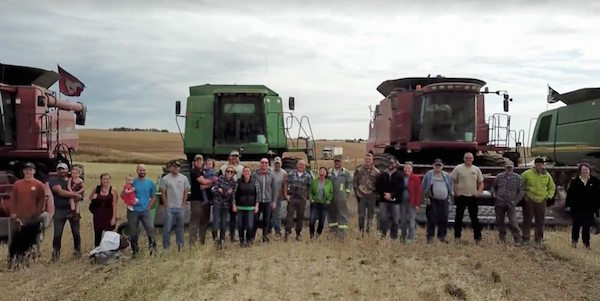 The video, which features swooping footage taken by a drone, can be found at the Foodgrains Bank’s Facebook page here. It’s not only family farms facing the succession challenge these days. Community efforts such as Growing Projects for the Canadian Foodgrains Bank are looking to the future to see if they’ve inspired the next generation to carry on the cause. One such venture finds itself in the middle of the process. The Brownfield and District Growing Project was among the first on the Prairies, and has been underway for more than three decades. “My dad and his cousin took the first load of grain from our project 32 years ago, and my dad will turn 90 this year,” said Faye Webber, the first woman to chair the Brownfield project. The effort began as an outreach of the Brownfield Baptist Church, and is now into its third generation of volunteers. Succession was on the minds of many at a recent meeting of Alberta Foodgrains Project leaders. Some groups are filled with seniors who are realizing they can’t carry on indefinitely and need some younger help. However, the dedication to helping tackle global hunger becomes a real heart work, so it’s not easy for volunteers to step away. “It’s an emotional decision, as much as it is practical, because there’s such deep meaning and commitment when you are aware of what this means to people in the world,” said Webber. Iain Armstrong was, by all accounts, the kind of man anyone would welcome into their homes and hearts. The 61-year-old was happily married for over 35 years to his wife Sharon and the father of two children, Dana and Sean. Together with his wife, brother and sister-in-law, Armstrong owned Bunches Flowers Co. Last week while trying to stop a robbery near the company’s Southgate Centre store, he was violently attacked. He suffered severe injuries and died in an Edmonton hospital three days later. Now, his son Sean is sharing his father’s story. “If we would all behave just a little bit more like Iain, the benefit to humanity would be spectacular,” Sean Armstrong wrote in a touching tribute. “While the community at large has been appropriately shocked by the brazen attack, I want people to remember Iain for the adventurous life he lived all the way from his humble beginnings,” Sean wrote in his message accompanying his testimony. Read Sean’s full statement here. Copyright © 2018 Canadian Baptists of Western Canada, All rights reserved. Making Connections is the Monthly Newsletter of the CBWC. The senior editor is Zoë Ducklow, who works under the executive editorial direction of Rob Ogilvie and the Communications & Stewardship committee. Have a story idea? Want to tell us how great we’re doing? Or how terribly? Email Zoë at zducklow@cbwc.ca.